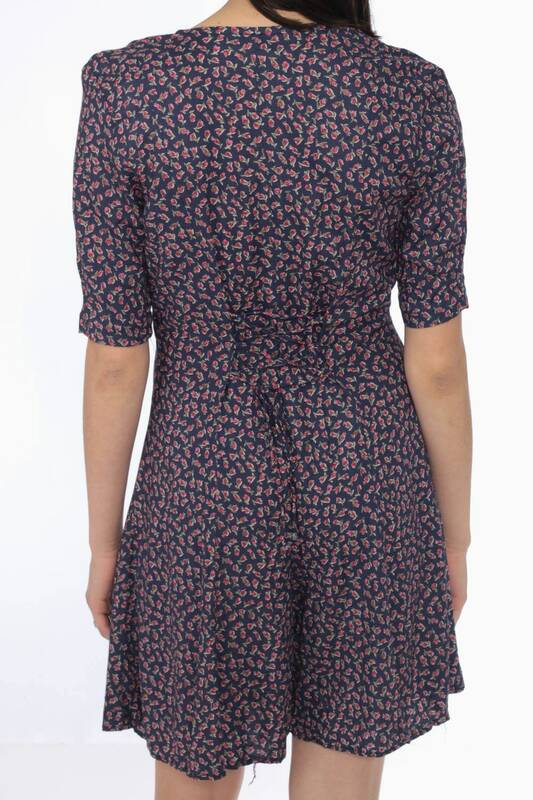 Vintage 90s romper dress with a floral print in navy blue and pink. It has wide legs that look like a skirt and it ties in the back. Best fits women’s: Labelled size 11. Fits Small. Arm holes run on the smaller side.